Eek! Why did you do that CRM? I want to add a new record, why didn’t you pop the create form? 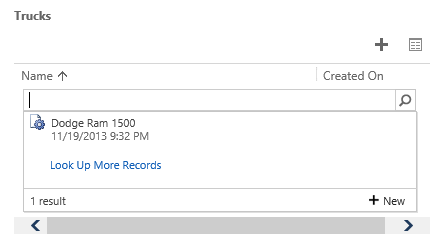 Now, I was never a fan of the “Add Existing” button in CRM 2011, it was never that useful. So why Microsoft chose that behavior as the default for custom sub-grids in CRM 2013 is a mystery to me. And that’s it, an easy fix. So, an unfortunate design choice from Microsoft but at least there’s a simple no-code fix. This entry was posted in Uncategorized and tagged CRM 2013, sub grid on November 19, 2013 by Gareth Tucker. That is another approach, thanks for sharing that. Both have their pluses and minuses. Is the approach suggested by you; supported or unsupported? This is supported, this is just ribbon customization, it’s well documented in the SDK. By this we can open up the quick create form instead of the user navigating to the entity form. Gareth can you please do a post on refreshing parent control value on my sub-grid value change ? Did you try to create the same behavior for the standard opportunity product subgrid within the opportunity form? Another way of getting around this awkward default behaviour is to make the lookup field business required on the child entity, which effectively does the same thing by removing the Add Existing option. Of course if you need to allow records to exist without a reference to the parent entity then editing the Ribbon is the only way to fix this. Great catch Gareth figuring out that the ribbon xml controls this, and good tip from Jukka as to why the two associated views have a different set of buttons in the first place. I’m going to add that to the train-the-trainer course I am doing today (lunch now, last session this afternoon). Thanks for your posts on using the Ribbon Workbench – they are very helpful. 2. The reason that hiding this button changes the inline lookup behaviour to a popup is that the inline sub grid evaluates the display & enable rules of the AddExistingStandard button to determine if it show show the Inline lookup (which is effectively the same as the CRM2011 showing the Add Existing button in addition to the Add New button). 3. Before you customise the ribbon, I would be absolutely sure that you can’t take the approach that Jukka describes by making the foreign key attribute on the ‘Truck’ entity ‘Business Required’ so that the form sub grid will not show you an inline lookup. Could you explain step by step what to do? Microsoft chose the path they did so that the user would “search” the system to see if the child record already exists before enabling the “Create New” functionality. How many of us face the cumbersome issue of cleaning up duplicate records because users never bother to check to see if the record already exists? I have found that once the user understands how the grids are supposed to work, there is really no complaining…and managers love the fact that it forces the search to see if the record already exists. 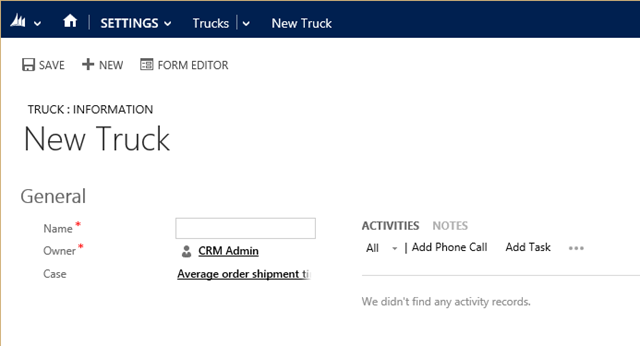 I have a requirement to add inline editable subgrid in Opportunity in crm 2013. Is there any possibility to add inline editable subgrid in Opportunity. Please help me if you have any information. 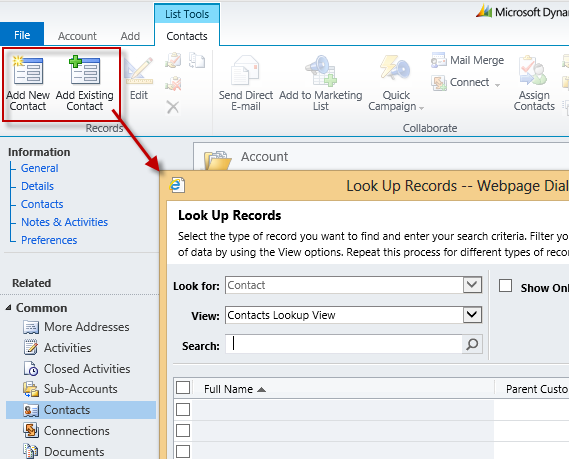 I have a requirement to add inline editable subgrid to Opportunity in crm 2013. Is there any possibility to add inline editable subgrid to Opportunity. You can either repurpose the opportunity product grid or code your own custom HTML grid. 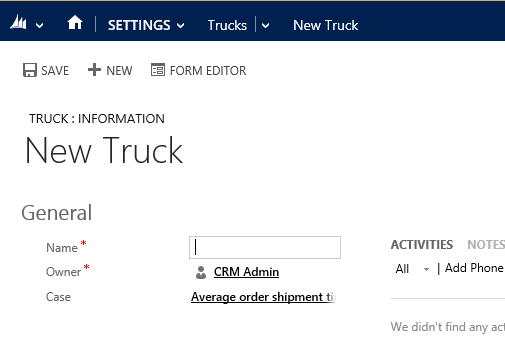 I too have a requirement to add inline editable subgrid with CRM 2013, but on a custom entity. Is there any way to add an inline editable subgrid to a custom entity? If it requires coding, can you help us or do you know anyone who might be able to? Thanks and great job on this post. I´m trying to do this same modification for a custom activity but it seems that even though I have edited the ribbon for those custom activities (removed the “Add Existing” buttons), I´m still getting the normal activity forms when I click the + button from the form. Also the Quick Create button from the ribbon itself, opens the “normal forms” instead of quick create ones. 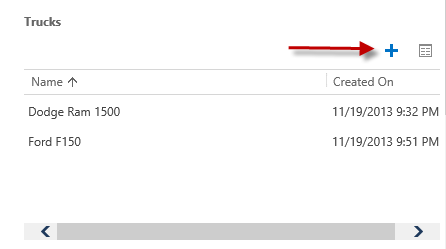 There is quick create form created and settings on the entity level are also correct, but something in the custom activity seems to be preventing the use of the quick create forms. However, in one situation I can access the quick create forms: when “Add existing” functionality for the custom activities is available and I´ll start using the out-of-the-box functionality with the look-up and click the New button from there, then the quick create form for the custom activity is opened. I have the same issue here with an Custom Activity. Someone got an idea how to get this working? Hi Gareth, actually I found this issue and experience the same problem with you, because it is not convenient for us to do click and more click just to create new 1:N records, I also never use the Existing, because actually for transaction or detail data, the existing one is already got relationship with parent, so same, when we choose the lookup record then, also cannot change said that this record already related to another record. Okay, then accidentally I found another way to fix it without the ribbon customization. I also did not realize it at the very first time and was confused why suddenly I can open a new pop up after I click the “+”button without any ribbon customization. Anyway, maybe someone has found this solution. And btw, I found another issue, maybe you can help find out. Let’s say you can open a pop up for Truck entity, can be using ribbon or required field methods, then pop up appears, so then you input your first truck. Then, you save, then after that you create New truck under the Case entity (of course it will bring the Case as parent to auto pre-fill “Truck” Case field”, right?) using the “New” button after you save and create your first Truck record, then it should be still in under one parent, but why after I create new then save and new again, the second time is different, the Case field in the Truck entity is not auto-populated. Then, I go to copy paste that URL to new tab or window, and actually it brings back again the “Case” value auto-fill. 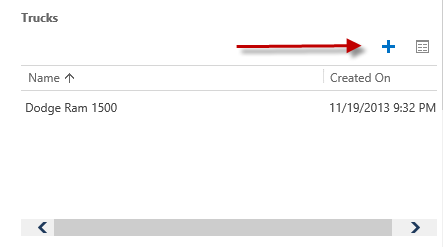 It happens in CRM 2013 if you do create new record from subgrid then save and new again, the second time, did not bring any value from the main entity or parent of that record anymore. 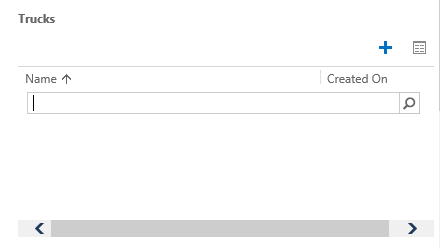 I have installed CRM 2013 Rollup2, and I tried to create Quote from subgrid on Opportunity form in CRM 2011, also cannot, but somehow another entity also can. What about Quote and Quote products? Clicking the + button shows Existing Product, Write-in product and Get Products as options. I just want to pop up a Add new quote product form. Any clue how that could be fixed? Gareth, Your site and work has been an inspiration as well as a top resource for me for the last 5 years of working with CRM. Please add a LINK to a new posting from you (above this posting) describing that the only reason the + defaults to searching is because you have NOT made the X:X relationship BUSINESS REQUIRED. All you have to do is make it BUSINESS REQUIRED and defaults to the quick create form. In 1:N relation ships, if the lookup field on “N”th side is mandatory field, then only “Create New Button” appears. If it is not a mandatory field then both “Create New” and “Add Existing” buttons will appear on the ribbon. Is there a way to check and access the parent window if the user clicks the New button to created a record while in the LookupDialog?